Are You Ready To Get Started Selling Your Valuables? Sell Diamonds NYC for more cash. We buy diamond jewelry such as engagement rings, stones, loose and rare, exotic, gems, large and small. We specialize in paying more for diamond jewelry and strive to be there best diamond buyer in NYC. We buy all and anything gold. Gold rings, chains, charms, bracelets, earrings, scrap, tangled, damaged or any condition. We buy 10k, 12k, 14k, 16k, 18k, 22k and 24k gold at the highest price. We test and weigh right in front of you. Sell Gold for cash now. Top Prices Paid For Watches. We buy all luxury watch brands at the top price. Get a quote now for your watch. 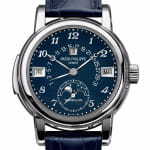 Sell Rolex, Cartier, Patek Philippe, Hublot and other high end/ luxury watches for the best price in. We are NYC best watch buyer. We buy coins at the highest price. 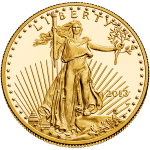 Top prices paid for gold and silver coins from any year, any country and any condition. We also specialize in selling coins too! So just give us a call if you have any questions in either buying or selling. Sell your fine silver for the best price. 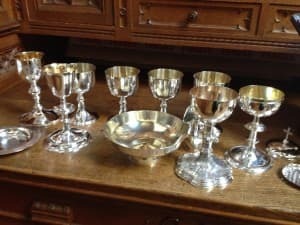 Sell silver for more than the spot price of silver for all silverware, silver flatware, server sets and sterling silver items. Feel free to give us a call to set up an appointment to test and weigh the silver in our office. Buyers of New York specializes in buying all Tiffany & Co. jewelry. We pay more fore all Tiffany items and welcome anyone to sell their jewelry to us. We have been in business for 30 years and pay the most cash for jewelry. Competitive prices paid. Buyers of New York specializes in buying all Rolex watches, makes and models as well as vintage Rolex watches. If you are looking to sell your Rolex watch please contact us to set up an appointment for a quote. We pay more than anyone. We buy GIA / EGL / AGI Certified diamonds at the best price. We specialize in buying diamonds and if yours is certified we can pay yo even more money for the diamond, diamond ring or stone. We have competitive rates. We Buy Top Designers Jewelry Cartier, David Yurman, Tiffany & Co., and more. 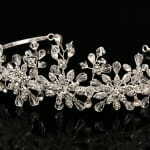 specializes in buying diamonds like diamond engagement rings, diamond necklaces, large diamonds, rare diamonds and more. If you have any old diamonds, or diamond rings or jewelry from ex boyfriends or ex husbands than we are the best place to sell all your diamond jewelry for the most cash, read more about selling your diamonds at our diamond page: Sell Diamonds for the most cash, we know diamonds, we breathe diamonds, we are certified and can offer the most cash for any diamond you have to sell. We buy large and rare diamonds, small diamonds, wedding rings, engagement rings, you name it , if it is a diamond we want to buy it. We also by loose and different colored diamonds as well, we buy blue, red, violet, brown, yellow diamonds as well. Sell Diamonds NYC as well, did you know that we buy diamond engagement rings, eternity bands, wedding bands, anything that has gold or diamonds in it we want to buy it from you and pay top dollar, we specialize in buying and selling all diamond stones and pieces in the NYC area. Silver has been going up lately so any silver that you have is probably worth more than you think we buy all kinds of silver from silver coins, to silver flatware, silver jewelry, silver bullion’s and more. We pay the highest cash for silver and you can always call or click the form for a quote and we will be happy to give you a quote on what we will buy your silver for. Silver has never been higher than it is now, so now is the best time to cash out on any silver you may have laying around, from silver flatware to silver coins we buy all kinds of silver. If you are looking for the best place to sell silver then look no further, we are a direct refiner that melts our precious metals we buy and that is why we pay the most cash for silver. Selling silver has never been easier, just call, click for the mail in form and lets make a deal. We buy all kinds of silver and pay the most money for precious metals in the world. The price of silver is on the rise and now has never been a perfect time for cashing in on any silver you have. We will pay a premium price for silverware, flatware and sterling silver, selling silver has never been more easier then now! We will pay over the spot price for all silver flatware pieces and complete sets. We are interested in buying all kinds of luxury watches, so when you are in need of cash or are thinking of getting rid of your watch and would like to get the most for your money than there is no other place that will pay you the most for your watch. We are interested in brands like Rolex, Panerai, Angelus, Baume et Mercier ,Bell & Ross, Longines, Breitling, Bucherer ,Bueche Girod, Bvlgari, LeCoultre, Daniel Roth, Favre-Leuba, Franck Muller, Glashütte, Gubelin, Hublot, IWC, Cartier, Breguet, Omega, Oyster, Agassiz, Patek, Philippe, Paul, Ditisheim, Piaget, SA A Lange & Sohne , Tag Heuer, Tiffany & Co., Tissot, Tudor, Ulysse , Nardin ,Universal ,Genéve Van Cleef & Arpels Wakmann Zenith etc. So for the best prices for all luxury and high end watches then click or call us for information. Sell Watch NYC. With the new release of Apple’s Gold Watch we now buy the Gold Apple Watch as well as any gold watch no matter the brand. We purchase and pay a high premium for all luxury brand watches, so if you are not sure if we will buy it please call us. We are the largest gold coin buyer in New York, we buy all silver and gold coins, you can come to our office or mail them in and you will get top dollar. We are looking for all gold, silver and platinum coins we pay more than anyone for all coins. So if you want a quote on a coin you have to sell you can call or click for an instant quote and come down to our office, or use our convenient mail in option on the right side of the page and get a prepaid kit in the mail. Don’t sell your coins to a coin shop, sell them to a coin buyer, we buy gold and silver coins in any denomination and we have been in the coin business for over 3 decades. We have a straight forward approach and always pay the most money for all of your gold and silver coins. Sell gold and silver coins in NYC. Diamond Buyers of New York specializes in buying diamonds like diamond engagement rings, diamond necklaces, large diamonds, rare diamonds and more. If you have any old diamonds, or diamond rings or jewelry from ex boyfriends or ex husbands than we are the best place to sell all your diamond jewelry for the most cash, read more about selling your diamonds at our diamond page: Sell Diamonds for the most cash, we know diamonds, we breathe diamonds, we are certified and can offer the most cash for any diamond you have to sell. We buy large and rare diamonds, small diamonds, wedding rings, engagement rings, you name it , if it is a diamond we want to buy it. We also by loose and different colored diamonds as well, we buy blue, red, violet, brown, yellow diamonds as well. Sell Diamonds NYC as well, did you know that we buy diamond engagement rings, eternity bands, wedding bands, anything that has gold or diamonds in it we want to buy it from you and pay top dollar, we specialize in buying and selling all diamond stones and pieces in the NYC area. 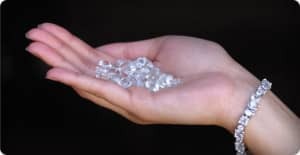 Platinum has risen significantly over the years so now is the perfect time to sell any platinum scrap or jewelry you have, platinum is one of the more expensive metals used in jewelry because of the durability and quality in platinum. We are a refiner that refines platinum, gold and silver. 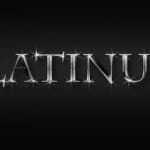 We are one of the few buyers that pays top dollar for platinum. We assure 100% customer satisfaction, safety and privacy when selling your jewelry. We have 60+ years experience in the jewelry industry and strive to make the best deal in terms of higher price for you possible. We are available via phone or walk-in and are open 6 days a week. Are you looking to sell any gold, silver, platinum, watches, coins or diamonds then we are confident no one will pay more than us. Sell jewelry safe and secure in our midtown Manhattan location, we are located at 30 West 47th St bet 5th & 6th ave. We specialize in buying jewelry and pay up to 99% of the current price. If you are looking for the best service, then look no further. Precious metals fluctuate daily and you can be sure that you will get the current spot price for your jewelry. Buyers of New York have been in business for 10 years now and our reputation talks for itself. If you have any mismatched, old, tangled, broken or scrap pieces we pay top dollar for that as well, after all its worth the same new or old. Precious metals are at an all time high and you can be sitting on a fortune if you open up that jewelry box and pick out jewelry you don’t use any more. It can be worth thousands of dollars. Just give us a call and we will make an appointment for you to bring all your jewelry in for an appraisal. You will know what we pay because we post our prices on all precious metals below. We have no gimmicks and encourage our clients to shop around and see that we pay number one for all jewelry. If you are out of the metro area please call to ask us about our mail in packages so you can take advantage of the special prices we pay for gold and other precious metals today! We simply pay the most cash for all jewelry. If you are looking to get the highest cash offer for your jewelry, come get a quote from us. Buyers of New York has evaluated, competitively priced and purchased precious metals from millions of customers. Our staff is committed to using its experience to meet your needs and earn your satisfaction. We not only pay for the metal value however we primarily pay for the intrinsic value for the gold jewelry such as the historic and collector value. We have buyers all over the states which makes it easy for us to pay above and beyond the melt value. We GUARANTEE that our buy offer for your item will be better than any other competitor, any other online marketplace and any online buyer of pre-owned merchandise. Speak to a live person every time you call and receive an email response within hours, Not Days. We have a strict policy on paying the customer. And that policy is pay as much cash for their jewelry as possible and make a small profit as well. We succeed in this area because we have our own refinery and jewelry dealers who buy from us. This cuts out the middleman and passes the savings on to you the customer. 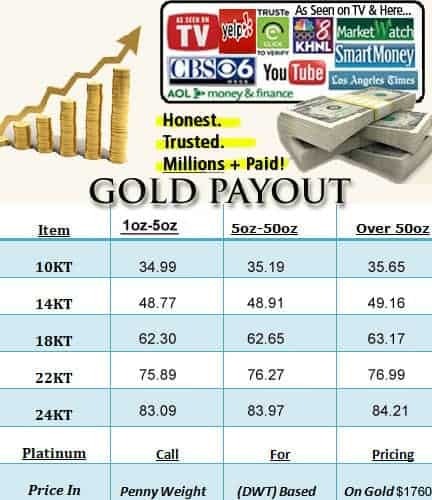 There are many scammers that will try and rip you off or scam you when considering selling gold online or in person, we do not take advantage of people, we want to be in the gold buying business forever, so we feel to provide the most upfront and honest service, to pay the most cash for gold and have a bunch of happy customers for life that will praise us and refer us to friends and family. That is how we do business and that is why you should do business with us! Selling gold has never been easier, you can come to our midtown office and/or use our mail in form on the right, you get the same price, gold has been having a steady rise over the last few decades and now has never been a better time to sell. We buy necklaces, bracelets, pendants, charms, chains, coins, bullion’s and pretty much anything that has gold in it. You can view our price chart and either click the form for a online quote or give us a call and we will gladly call you back or email you back with an approximate quote. We pay top dollar for your unwanted jewelry, and we are New York’s largest buyer and have been in the Diamond District for over 25 years, there is one reason people sell to us, because we pay the most cash when people are looking for the best prices they get cash for gold they call us! We are the #1 Buyers of precious metals in New York City, when your selling any jewelry to us you can know that your selling directly to the refinery, cutting out the middleman and we are passing the savings to you. We specialize in buying gold chains, jewelry, scrap, broken, tangled, damaged and more, if its got gold in it we buy it. We have the best prices in the world, if you have any jewelry you want to sell and get the best price please feel free to either come into our office or calling or filling out the form on the right to get a prepaid, fully insured express FedEx label. For top prices for precious metals such as gold, silver and platinum come sell your jewelry to us, we will pay you more than any other buyer guaranteed. Silver has been going up lately so any silver that you have is probably worth more than you think we buy all kinds of silver from silver coins, to silver flatware, silver jewelry, silver bullion’s and more. We pay the highest cash for silver and you can always call or click the form for a quote and we will be happy to give you a quote on what we will buy your silver for. Silver has never been higher than it is now, so now is the best time to cash out on any silver you may have laying around, from silver flatware to silver coins we buy all kinds of silver. If you are looking for the best place to sell silver then look no further, we are a direct refiner that melts our precious metals we buy and that is why we pay the most cash for silver. Selling silver has never been easier, just call, click for the mail in form and lets make a deal. We buy all kinds of silver and pay the most money for precious metals in the world. The price of silver is on the rise and now has never been a perfect time for cashing in on any silver you have. 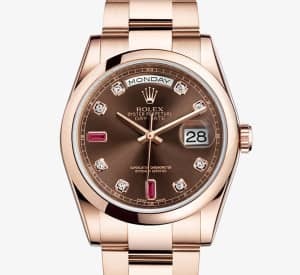 We are interested in buying all kinds of luxury watches, so when you are in need of cash or are thinking of getting rid of your watch and would like to get the most for your money than there is no other place that will pay you the most for your watch. We are interested in brands like Rolex, Panerai, Angelus, Baume et Mercier ,Bell & Ross, Longines, Breitling, Bucherer ,Bueche Girod, Bvlgari, LeCoultre, Daniel Roth, Favre-Leuba, Franck Muller, Glashütte, Gubelin, Hublot, IWC, Cartier, Breguet, Omega, Oyster, Agassiz, Patek, Philippe, Paul, Ditisheim, Piaget, SA A Lange & Sohne , Tag Heuer, Tiffany & Co., Tissot, Tudor, Ulysse , Nardin ,Universal ,Genéve Van Cleef & Arpels Wakmann Zenith etc. So for the best prices for all luxury and high end watches then click or call us for information. We are the largest buyer of coins in New York, we buy all silver and gold coins, you can come to our office or mail them in and you will get top dollar. We are looking for all gold, silver and platinum coins we pay more than anyone for all coins. So if you want a quote on a coin you have to sell you can call or click for an instant quote and come down to our office, or use our convenient mail in option on the right side of the page and get a prepaid kit in the mail. Don’t sell your coins to a coin shop, sell them to a NYC coin buyer, we buy gold and silver coins in any denomination and we have been in the coin business for over 3 decades. We have a straight forward approach and always pay the most money for all of your gold and silver coins. Diamond Buyers of New York specializes in buying diamonds like diamond engagement rings, diamond necklaces, large diamonds, rare diamonds and more. If you have any old diamonds, or diamond rings or jewelry from ex boyfriends or ex husbands than we are the best place to sell all your diamond jewelry for the most cash, read more about selling your diamonds at our diamond page: Sell Diamonds for the most cash, we know diamonds, we breathe diamonds, we are certified and can offer the most cash for any diamond you have to sell. We buy large and rare diamonds, small diamonds, wedding rings, engagement rings, you name it , if it is a diamond we want to buy it. We also by loose and different colored diamonds as well, we buy blue, red, violet, brown, yellow diamonds as well. Sell Diamonds NYC We buy diamond engagement rings, eternity bands, wedding bands, anything that has gold or diamonds in it we want to buy it from you and pay top cash. Platinum has risen significantly over the years so now is the perfect time to sell any platinum scrap or jewelry you have, platinum is one of the more expensive metals used in jewelry because of the durability and quality in platinum. We are a refiner that refines platinum, gold and silver. We are one of the few buyers in NYC that pays top dollar for platinum. You are always welcome to come into our office to get any piece of jewelry appraised. We are open Monday – Friday 10am-6pm and Saturday 10am – 6pm. We are located in Manhattan’s Diamond District and have been here for 30 years. Our Address is 30 West 47th st , New York, NY 10036. Call us to set up an appointment today, we buy gold, silver, platinum, diamonds, watches, coins antique and estate jewelry. There are many gold buyers that will offer you cash but not everyone comes close to the prices we pay for your jewelry. Remember we are located near all major subways and have been in business for a long time buying and selling gold at the highest prices. With precious metals prices skyrocketing and many fly by night cash for gold companies popping up there are some scams you need to be aware of, we always recommend selling to a reputable buyer and never at a hotel convention, on the street and always separate the carats, know the weight, know they current price of gold and you will be in great shape for better negotiations and not being taken advantage of when selling your jewelry. Follow our steps and sell your items to us the right way and you will notice the difference. we have the highest percentage of repeat business and strive for 100% customer satisfaction when buying from the public. How do we know this you may ask? It’s simple when a potential customer arrives at our office they are greeted with the best customer service one can imagine: A friendly staff and knowledgable buyers, A safe and discrete location located in midtown Manhattan, and of course the highest cash amount for your stuff. When our customers leave they always say the same thing; “Wow!!! you guys pay the highest price after comparing several other gold buyers in the Diamond District”. We strive to be the best and it shows by our customer reviews..
We buy all 10k, 14k, 18k, 22k and 24k jewelry, coins, bracelets, chains, earrings, class rings, medallions, bullion, proof sets and more. There are many buyers but only one true Buyers of New York. We always like to give our customers updates and warnings on potential scams to watch out for when selling. Never sell your jewelry off the street and always get a few prices and know the carats and weight of the jewelry you are selling and by following these steps one can be assured you will be paid the highest amount for your gold. We strive to have the highest nationwide and believe in making our clients happy and do our best to meet their needs. If your looking for a reliable honest Pawn Shop then You’ve Found one! Check Us Out for a Free Evaluation & Low Interest Loans. Collateral Loans have never been easier. Get loans for Gold, Diamonds, Watches, Fine Jewelry & More! Highest cash paid. If you are looking for the best cash for gold buyer in New York, you can be certain when dealing with buyers of New York we are the premiere cash for gold buyer in NYC. We are interested in all kinds of gold and karats ranging from 10k, 12k, 14k, 16k, 18k, 22k and 24k gold. We buy anything and everything from gold chains, charms, bracelets, pendants, class rings, #1 mom pendants, anklets, brooches, antique jewelry, gold diamond jewelry and anything else containing gold. When entering our office you will be greeted by our certified cash for gold buying team where we will test and weigh it in front of you and based on the current price of gold at that instance we will give you cash on the spot. We stand by our word and built a great reputation as the #1 cash for gold buyer in New York. After agreeing on the price you will be given cash or a check and don’t forget to bring in your ID with you, you can be in and out in as little as 10 minutes. YOU CAN SELL YOUR JEWELRY ON YOUR LUNCH BREAK IN MANHATTAN! We are in the diamond district in NYC , near all major transportation, buses and trains. After selling your gold and reading our reviews you will soon find out why we are the best gold buyer in NYC and specialize in buying and selling gold. We are proud to be the first cash for gold buyers in NYC. If you are looking for not just one of the best but THE BEST CASH FOR GOLD BUYER IN NYC. We have been in the gold business for over 30 years and strive for providing the best cash for gold service in New York and online. We cut out the middleman and refine our own gold and pass the savings onto you, the customer. If you are in Queens and are in need of a loan check out our pawn shop Queens Page.